This taco casserole is my new favorite on a busy night. 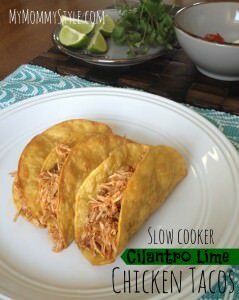 I make tacos regularly, they are my go-to quick meal that the whole family loves. 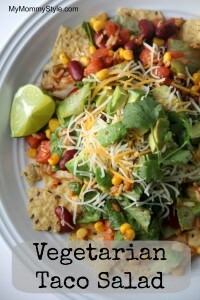 Sometimes I like to mix it up and make a great taco salad and now with this recipe I have another option for taco night. 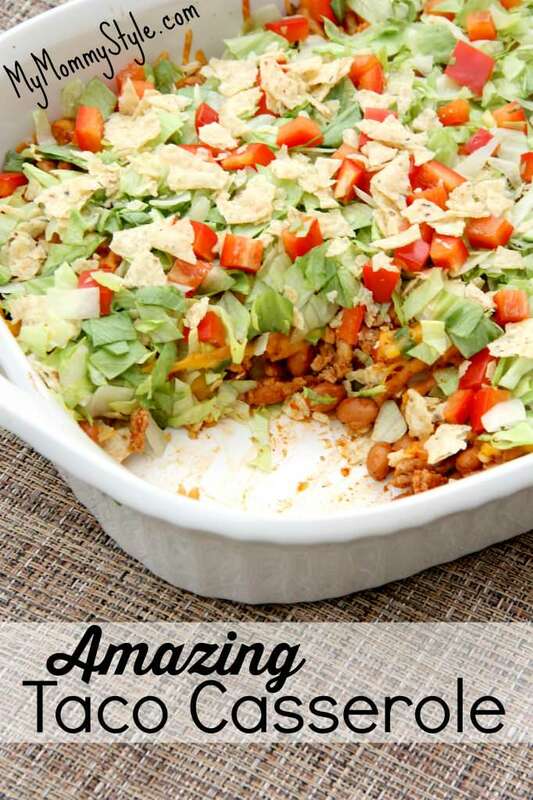 This taco casserole is a fun twist on a classic, easy dinner. I found the original recipe came from here, but I lightened it up a little and it was still amazing. My whole family loved this casserole as much as they love regular tacos and this casserole was just as easy to throw together. Recipes that are easy, healthy, and family friendly are the best kind of recipes in my opinion! Try these other family favorite dinner ideas! You can use your own taco seasoning in place of the packaged seasoning. Find the recipe here. You can also swap out lean ground beef for the ground turkey. Heat oven to 350°F. Cook turkey over medium-high heat until browned, 5 to 7 minutes Drain. Stir in pinto beans beans, salsa and taco seasoning mix. Reduce heat to medium. Heat to boiling, stirring occasionally. In ungreased 2-quart casserole, place 2 cups of the broken tortilla chips. Top evenly with beef mixture. Sprinkle with bell pepper, onions, and the cheese. Bake uncovered 20 to 25 minutes. Top baked casserole with lettuce, tomato and remaining 1/2 cup tortilla chips. Don’t forget to like us on Facebook, follow our YouTube Channel, and find more easy, family friendly recipes by following us on Pinterest and Instagram!